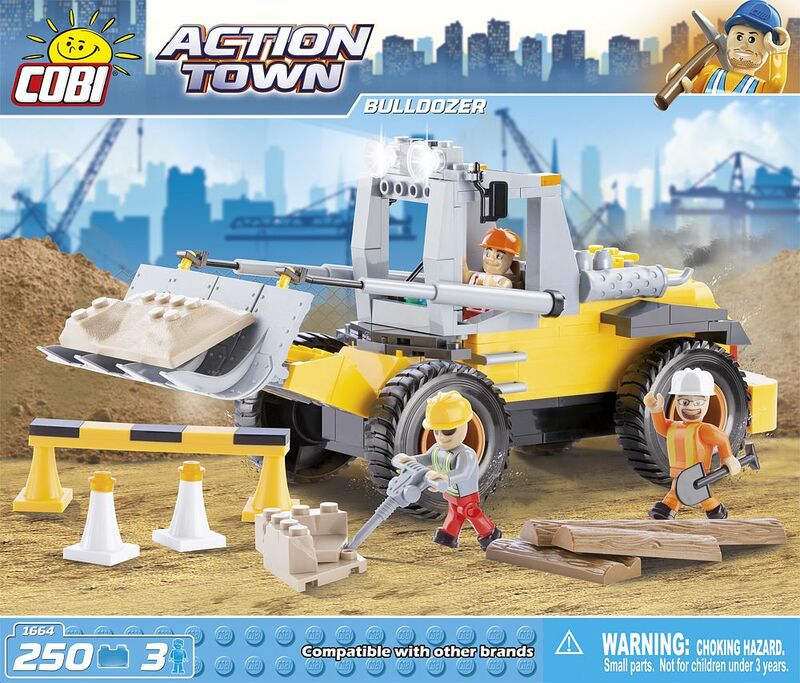 Build a big bulldozer! This heavy duty machine has a movable backhoe that's always ready to push piles of dirt around. 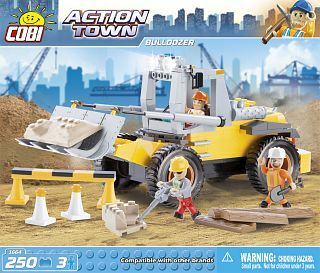 This set includes a ton of accessories such as safety helmets, bollards and hammer drills to make work safe and easy! 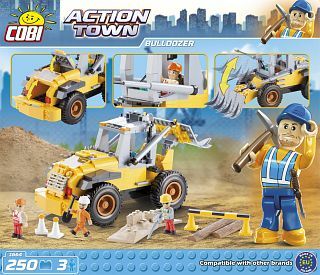 This construction block set includes 250 blocks and 3 figures. What a great addition to the extended COBI Action Town collection! COBI SA © 2018 All rights reserved, reproduction of content contained on this website is prohibited. Cookies policy.